We are family owned and operated. So, whether your child is ready to visit for the first time, your spouse wants to discuss whitening, or your parent needs dentures, we will treat you and your loved ones like members of our family. We have created a warm, pleasant atmosphere so that our patients can feel comfortable in our practice and confident in our care. Please take the time to get to know us. We welcome you to visit our office and meet the staff to learn more about the care and services we offer. Dr. Andrea Hannahan received her undergraduate degree from The University of Tennessee, Knoxville and graduated from Meharry Medical College School of Dentistry where she earned her Doctorate of Dental Surgery degree. Dr. Hannahan has been practicing dentistry for over ten years. She is a member of the American Dental Association, Tennessee Dental Association, and The Sixth District Dental Society. She is a member of the American Association of Women Dentists and has served as Treasurer for the Middle Tennessee Chapter. She is also an eight year member of the Spring Hill Chamber of Commerce. Dr. Hannahan is also active in volunteering with Remote Area Medical Clinic and Brentwood Baptist Church Medical Dental Unit providing free dental care to those in need. Dr. Hannahan is a general dentist treating patients of all ages and offering a wide range of dental services for the entire family. 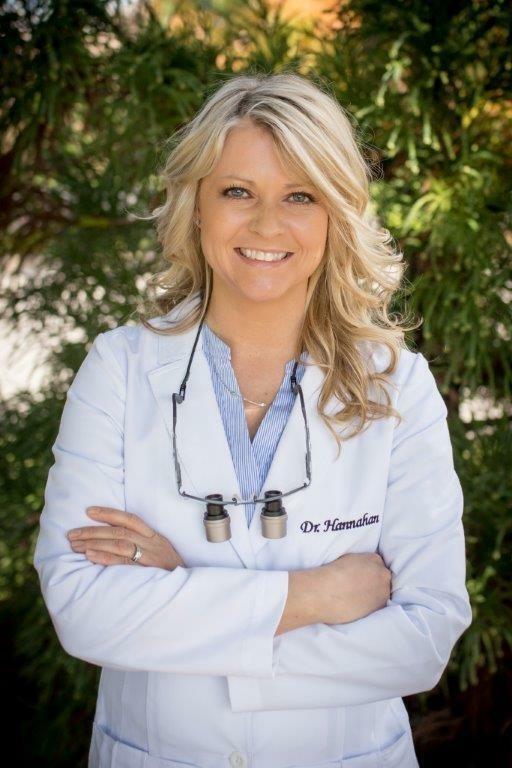 As a child, experiencing some of the same fears and anxieties associated with dental visits, herself, Dr. Hannahan is committed to helping patients of all ages overcome these feelings that prevent many patients from seeking much needed dental care. By taking the time to understand each patient's individual concerns and needs, Dr. Hannahan and her staff are committed to creating a relaxed and calming atmosphere to make your visit a pleasant and rewarding experience with healthy results. With a firm belief in education and communication, her approach to your treatment starts with patiently listening to you. After a complete and thorough examination, Dr. Hannahan will then review and discuss the diagnosis and treatment options with you and address your questions and concerns. Dr. Hannahan wants to create an atmosphere where you can be comfortable and confident knowing that you and your family are receiving quality dental care and being well taken care of. She is gentle, patient, and caring, and she takes the time to provide you with the best dental care possible. She is well regarded by her patients for her thoroughness. Rather than being rushed, you know that she is there to serve you and your family's needs by focusing on every detail. Dr. Hannahan and her staff hope that you will be so happy with your results that you will recommend us to other family and friends.